For over a decade, Apples and Oranges has produced everything from Broadway shows to touring productions; from educational programs to filmed musicals. Through a convergence of technology and the arts, we continue to strive towards creating work that unites and moves humanity forward. We joined the producing team and brought a revival of the beloved musical Hair to Broadway. We utilized cutting-edge technology to make each night’s curtain call available online the next morning. We produced Memphis. This inspiring show won the Tony-Award for “Best Musical” going on to tour nationwide and play in London. We filmed footage throughout the run and used social media to drive awareness. Bridge 2 Broadway nurtured the development of new musical works and aspiring theatre artists in Southern California by engaging first-rate talent to stage and workshop material in a professional environment. Our ShowbizU series accelerated storytellers by partnering with proven entertainment insiders to produce an online community where aspiring artists could learn, collaborate, and be inspired. Written, composed, and directed by our co-founders, this musical had developmental productions at The Webb in 2014 and then The Pugh (Dr. Phillips Center) in 2017. 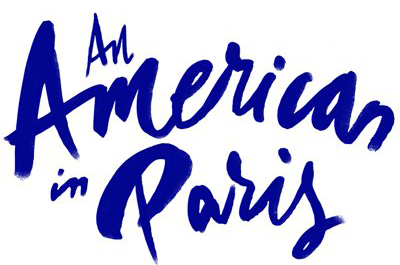 We produced on An American in Paris and made the production the first Broadway show to have a Facebook Live stream and created hours of behind the scenes footage throughout the run. Teaming with The Broadway League, we shot and live streamed The National High School Musical Theatre Awards® (the Jimmy Awards®). We have provided this service every year since as we proudly support the next generation on musical theatre performers. We applied the model that accelerates technology start-ups and used it for theatre. THEatre ACCELERATOR treats storytellers as founders; creating an opportunity to interact with experts in storytelling, production, distribution, and the business of show business. In 2018 we produced our first Filmed Staged Musical, Emma! Emma is currently being distributed digitally – get your copy today at emmathemusical.com! The first original filmed musical to premiere prior to an on-stage run, this film is scheduled for release later this Spring. Learn more information here! This show that entered our world through the THEatre Accelerator just was featured at the Spark Festival at the Pittsburgh CLO and is continuing to be developed by Apples and Oranges Arts.